Last week, our Founder and President at Solutions 21, Buddy Hobart, passed along an article to me. This has become a customary practice, especially when it comes to articles pertaining to Millennials. As a proud, card-carrying member of the Millennial generation, Buddy, a Baby Boomer, asks for me to consider and reflect on the pieces he sends my way. As has been the case since joining the company, the articles he shares vary in tone and topic. This article in particular was not exactly complimentary of my generation, a trend that has been, I’m sorry to say, the case more times than not. This article details the discovery of the “work martyr era.” Surveys back the author’s findings, which are presented in a condemning, disapproving tone, and highlight the rise of the “work martyr” in today’s American work culture. It also defines the pioneers of this new wave of unhappy employees. Take a guess who they might be. Now, I’m not saying this article is completely off base. There are some valid points made. For instance, the article suggests that the American workforce prizes presence over productivity. This is true. Several ideas that are developed throughout the article, however, warrant a rebuttal. As a Millennial, and a person who does not consider myself a work martyr, this article struck a chord. Let’s begin with the ludicrous idea that work martyrs should be defined based on their misuse of vacation days or time off, as this article suggests. As my Solutions 21 colleagues have examined in previous blog posts, not to mention ongoing research and discussion, Millennials want to make their job part of their life. We don’t see the need, or want, to disconnect from something we are passionate about, which is work for many of us. Also, and I can’t speak for every Millennial, but “vacation” has totally fallen out of style. Rather than taking off multiple days at a time and traveling somewhere, I would much rather incorporate flexibility into my everyday life, which is a commonality among many Millennials. 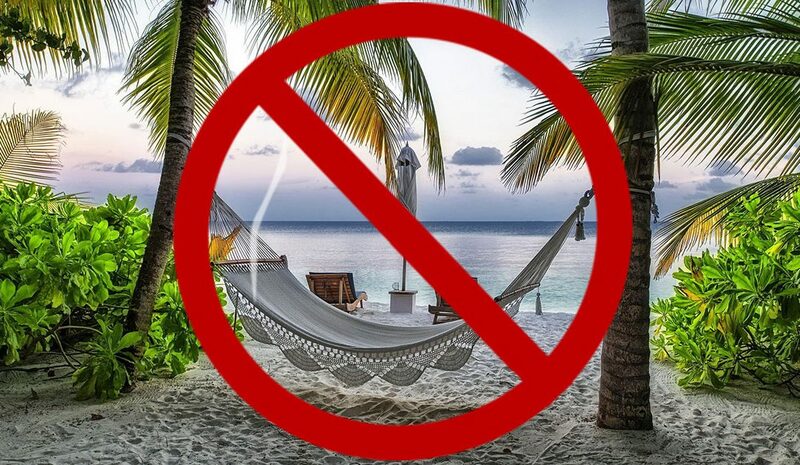 Finally, and it must be said because it was pointed out in this article, even if we wanted to disconnect and take a vacation, what money would we use to do so? With the crushing debt that plagues our generation, not to mention the underemployment, I don’t know of many (if any) Millennials that can afford to take a vacation for days at a time. Maybe a quick getaway to a nearby beach is possible. Or a road trip to visit a friend. But, in these cases, we’re talking a long weekend. Long weekends don’t count. To take an entire week or two and travel the world, like most of us would love to do, is not even an option at this stage in our lives. Long story short, and Buddy put it best: All is not as it appears. To the other generations in the workforce, Millennials may seem like work martyrs. And yes, there probably are some Millennials that play the role very well. But I’m sure the same can be said for some Gen X’ers and Baby Boomers. Let’s take a look through the correct lens and see that martyrdom is not a one-size-fits-all answer. And please, please, please don’t place another unwarranted label on Millennials.